Whether you’re remodeling your business or performing regular maintenance, you want your service work to be done correctly and safely by a professional. 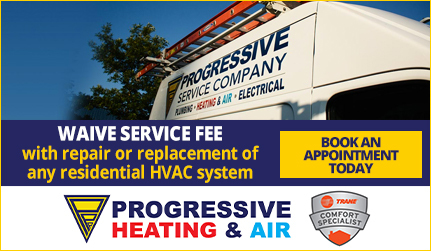 Progressive Service Company has the trained, experienced technicians for all of your HVAC, plumbing, and electrical needs. Our experienced staff is on call 24/7 for all of your emergencies. We put every one of our technicians through extensive training so that all of our customers are getting the best technician possible. The plumbing at your commercial or industrial property is important. When something goes wrong, you need your plumbing working again, and fast. 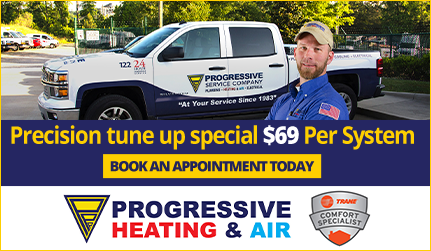 Progressive’s commercial plumbers are available 24/7 for plumbing repair emergencies. With more than 120 service trucks available, you’re guaranteed fast service and 100% customer satisfaction. Our plumbers are trained and certified, meaning you get peace of mind when you book a Progressive plumber for your commercial plumbing needs. Progressive’s commercial electricians in Raleigh are here to help your business succeed. Our trained electrical technicians offer everything from installation and wiring to landscape lighting. When you use our Raleigh commercial electricians your work is backed by a 100% customer satisfaction guarantee. With 24/7 emergency service, you can always count on Progressive. When your heating or cooling system isn’t working properly, you need it fixed fast. 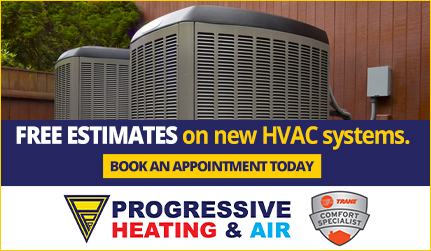 Progressive’s HVAC technicians will get your commercial heating or cooling system fixed, quickly and correctly. Our professionals are trained experts on all major brands of heating, cooling, and ventilation systems. We install new systems, repair and maintenance existing systems, and more. In the aftermath of natural disasters or serious accidents, Progressive Service Company will get you back to business. Our 24/7 emergency response and property restoration specialists ensure that you get the help you need when you need it. If your business has sustained storm damage, water damage, fire & smoke damage, or any other destruction, we will rebuild—quickly and effectively. Whenever your commercial or industrial property needs plumbing, electrical, HVAC, or restoration services, call Progressive Service Company. As your hometown team, we’ll be there, day or night, with a 100% customer satisfaction guarantee. Call us at (877) 325-0180 today!